Timmy Potenciano first turned to witchcraft as way of life to help her escape from organised religion. Potenciano, 32, has been practising tarot since 2005. But it was only recently when she started hanging out with other women who practise witchcraft that she began to recognise herself as a witch. 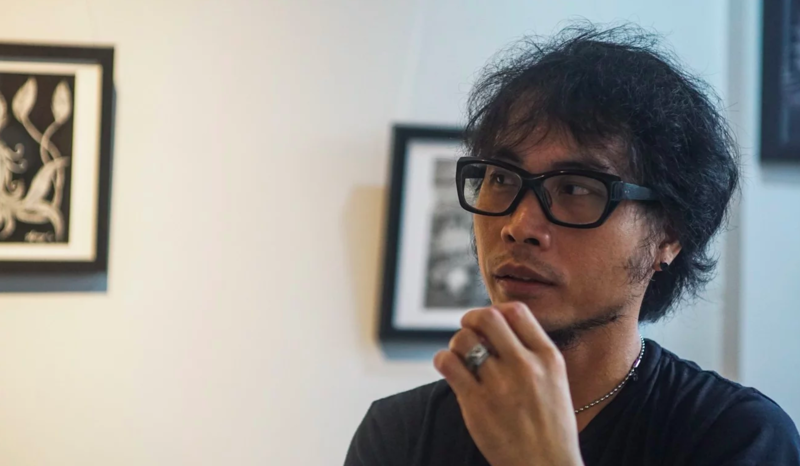 "In recent years, there's been a boom in esoteric practices in the Philippines, and it's comforting because I don't feel so alone any more," says Potenciano, from Quezon City, who works as a content strategist by day. With the rise of liberal millennials in the Philippines, and driven by their interests in wellness and New Age spirituality, witchcraft - broadly defined as beliefs and practices anchored in the mystical forces of nature - has been brought from the fringes into the mainstream. And while Philippines is known as a Catholic country, it is not unfamiliar with the concept. Numerous records indicate that in pre-colonial Philippines, Filipinos worshipped Bathala, the Tagalog supreme deity who created the universe. They believed in engkantos, the spirits of ancestors or guardians of nature who are said to have the ability to appear in human form. Communities were dominated by babaylans (shamans) and mananambals (witches) that practise sacred rituals and magic. Although these forms of mysticism have been considered taboo since Catholicism was introduced in the 15th century, many Filipino witches still practise. Among them is Mym Valdez, who has been a Wiccan practitioner for 20 years. She identifies herself as a kitchen witch, drawing ingredients from her own garden. She mixes small vials of basil and olives for protection, and prepares salt rubs and spelled chocolates to counter sadness. "I'm a little like an albularyo [witch doctor, or traditional healer], someone who uses herbs as medicine, knows the magical properties of ingredients and uses it in everyday life," she says. Valdez was introduced to the power of nature-based magic by her uncle when she was three years old. She claims that over the years she learnt to talk to spirits and cast complicated spells. She chose to pursue the Dianic path, which focuses on healing and creating health at home. Inka Magnaye, 29, was first drawn to witchcraft out of a spiritual longing and scepticism towards her religion. "I discovered witchcraft when I was 10 years old, from books in my school library," says Magnaye, who is a TV and radio voice actress by day. "I found it so intriguing. I was raised in a Catholic home, went to a Catholic school and sang in a Catholic church for years. While the ritualistic nature of Sunday mass always fascinated me, I never really felt quite connected to the belief of my childhood." Magnaye reads tarot cards as a form of divination. She says she creates her own spells and rituals by using candle magic, and meditates to commune with the energies of her surroundings and to recharge her own spirit. 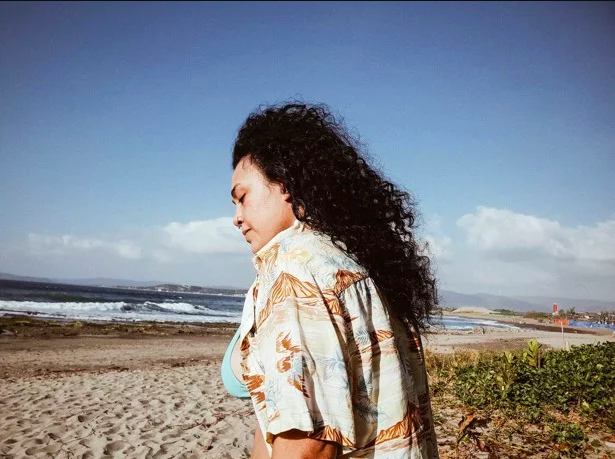 The solitary practitioner, who lives on a beach in La Union, in the Ilocos Region of the Philippines, says that practising witchcraft has made her more sensitive to nature and the vibrations of the earth. She believes the appeal of witchcraft is that it offers a path without judgment. "It is open to anyone, whatever gender you are, however you identify, whatever your background is. The path you walk is your own. It's a very personal belief system," she says. 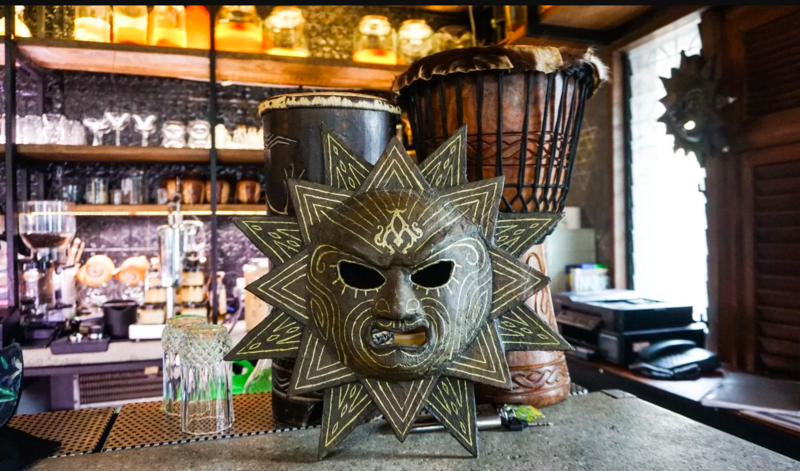 As Filipinos continue to embrace witchcraft, entrepreneurs have begun riding the mystical wave by using mythology, folklore and witchcraft as the themes of their businesses. Alamat Craft Brew is an independent backyard brewery where beers and labels pay tribute to mythological creatures of the Philippines. The lair of Alamat Craft Brew in Marikina City opens up to a "beer rack" which features a display of their India pale ales (IPAs). Hanging on the brick walls are wooden light fixtures and a humongous abaniko, a Filipino folding fan painted with an ancient scripture that reads "biringan", meaning "where one finds the lost". Their IPAs are steeped in limited batches, says Agoni Kama Itachi, co-owner of the brewery. Since 2015, they have come up with more than 16 different variants, one of which is called the "mambabarang", a dark IPA. This brew was inspired by local folklore about Mambabarang, a Filipino witch who casts malignant magic by hexing insects to infect victims' bodies. All of Alamat's beers are black, from the bottles to the caps. They also feature labels with self-made artwork of the creatures they embody. A gallery showcasing the original illustrations that appear on the labels can be found on the second floor of their den, which is yet to open to the public. 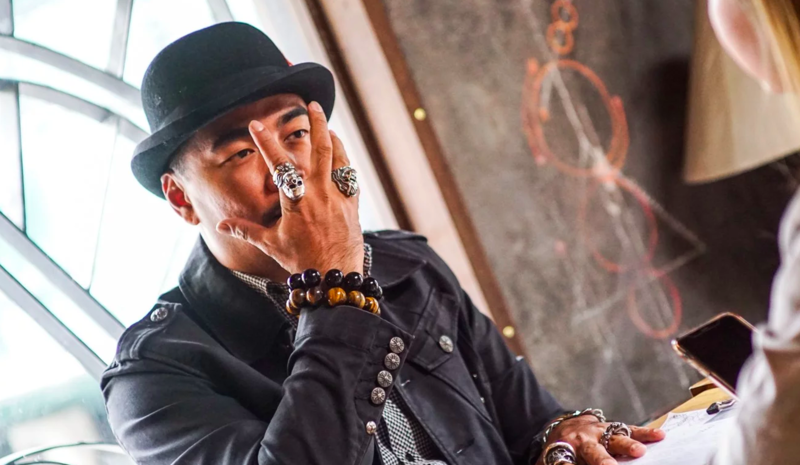 Kama Itachi, who is clad in a goth get-up when we meet, with black-framed spectacles and skeleton rings hugging his fingers, says the concept fits their interest in folklore and dark music and arts. "Since most of us are members of a metal band, we thought of venturing into something dark and 'astig' [cool]," the brewmaster says. "At the same time, we wanted to embrace the rich culture of the Philippines by introducing people to the mystical creatures that are little known to them." Kama Itachi hails from Marinduque, an island in the Philippines where various tales of supernatural occurrences are often mentioned. "As a kid, my parents would often take me to an albularyo whenever I was sick. He would tell me that I was sick because I had offended a duende, a mischievous elf," he says. Gayuma is a restaurant located in the hip Poblacion neighbourhood in the city of Makati. Gayuma is a Filipino term which means a potent potion intended to attract a mate. The restaurant's colourful aesthetic draws inspiration from witchcraft all over the world, particularly the French Quarter in New Orleans. Foliage and coloured bottles cover the ceiling and on its walls are displays of "love potions" and books of spells. "The idea is to spark curiosity among customers, whether they believe in the power of gayuma or not," says brand manager Joaqui Mendoza. "We do this by providing magical ambience and serving them with food infused with aphrodisiac ingredients." Among their bestsellers is a pasta made of crab fat topped with balut, or a fetal duck egg - a popular Filipino delicacy often regarded as an energy booster that is said to enhance one's stamina and sexual performance. Their signature drink is a vodka-infused cocktail served in a huge glass bowl that looks like a potion. Just a stone's throw away from Gayuma is another portal to the mystical realm, the Agimat Foraging Bar and Kitchen. 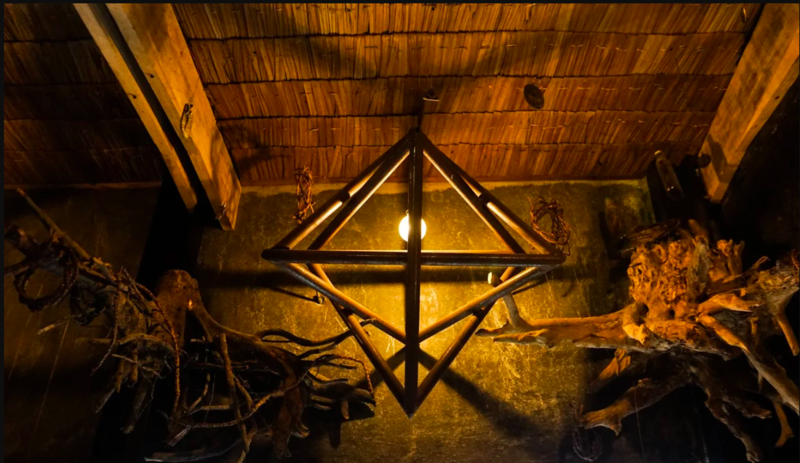 Chef Kalel Demetrio, one of the co-owners, says the watering hole draws inspiration from "agimat", an enigmatic amulet in the Philippines known for possessing great power and warding off evil. 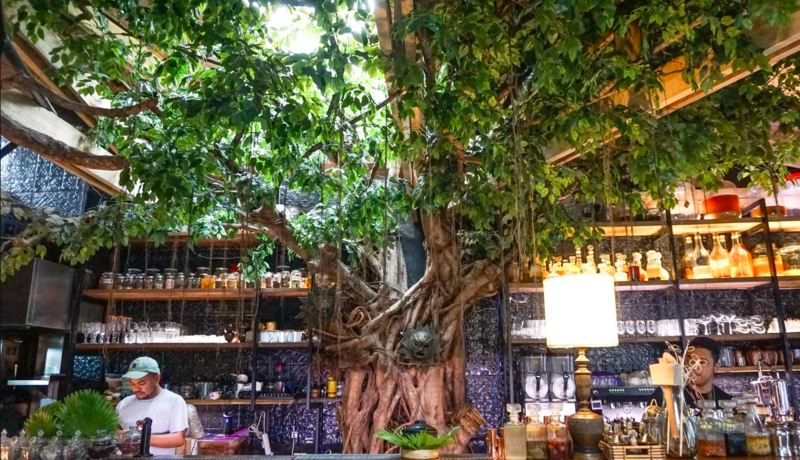 All the ingredients used in their exotic craft cocktails and complex dishes are foraged by the chef from all over the country. "I go to different parts of the country to seek ingredients," Demetrio says. "I go to the mountains, the jungle, talk to local people, including witch doctors who are known to have knowledge about rare ingredients found only in our land. It is through them that I learned to respect all that nature provides. I was inspired by them to transform these ingredients into something that would be enjoyed by whoever comes here." Demetrio fondly refers to Agimat as the modern house of a shaman. An ambience of magic has been created: burnt red candle wax lines the stairs; wooden charms, antique decorations and exotic wall hangings appear throughout; and fascinating rituals and chants accompany cocktail preparations. "If Filipinos were to put up bars in the early days, this would have been how it looked like," Demetrio says.